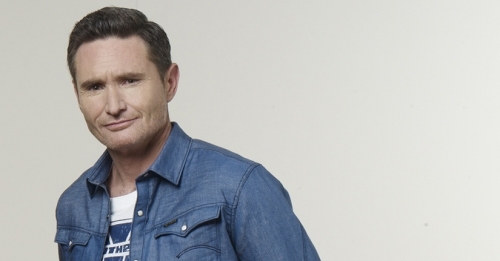 There is no bigger name in Australian comedy than Hughesy. A natural and unmistakably Australian comedian whose laconic style thinly disguises one of the fastest comic minds this country has ever seen. 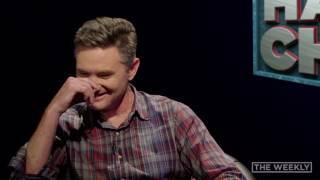 Since then, Hughesy has become one of the biggest and most loved names in Australian stand-up comedy. 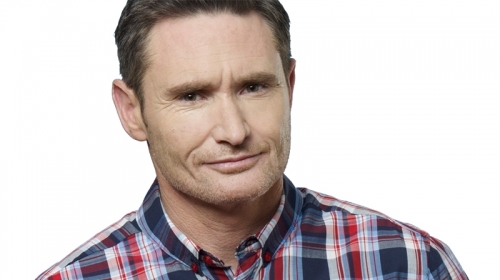 Honest and imperfect is how Australians like their comedy and Dave Hughes delivers exactly that in spades. 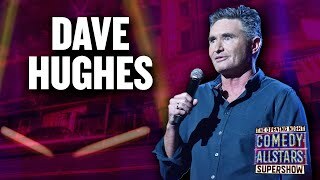 In 2013, Dave shocked Australia by announcing that after 12 years on radio with Nova 100, 5 years on Network Ten’s The Project, and 10 years with the iconic and much loved AFL Footy show Before The Game, he would be giving up his radio and television jobs to go back to his roots and tour a brand new stand up show for an entire year. Dave then toured his show Pointless to almost every corner of Australia to over 60,000 people, as well as overseas to LA, Montreal, the Edinburgh Fringe and Soho Theatre in London’s West End. 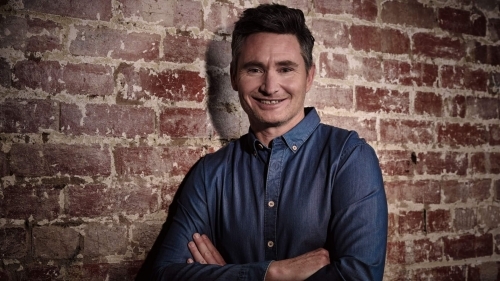 In 2015, Dave returned to the airwaves with long-time friend Kate Langbroek for a national drive show across the KIIS and Mix FM network, and Australia were stoked to have Hughesy and Kate back. He also joined the team at Channel Nine’s The Footy Show performing a mix of stand-up and his team sprays, which have become infamous in the AFL community. 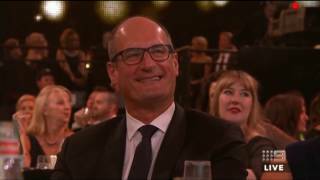 Hughesy’s sprays aren’t just confined to the world of AFL – For the last three years Dave has delivered blistering and hilarious opening monologues at the Annual TV Week Logie Awards. Hughesy continued to tour the country with his 2016 show Sweet, and in the same year was selected to perform at the prestigious Just for Laughs Festival in both Montreal and at the Sydney Opera House. There’s no slowing down for Dave in 2017 – His latest show Deluded has packed out houses in regional towns and theatres in major capital cities including every major Comedy Festival in Australia – all while continuing his national drive radio show and regular panel appearances on The Footy Show.